Kozo paper, with wide margins. Rare. Signed, titled and inscribed in pencil. 21 1/4 x 16 1/8 in. ; 54.03 x 41.02 cm. 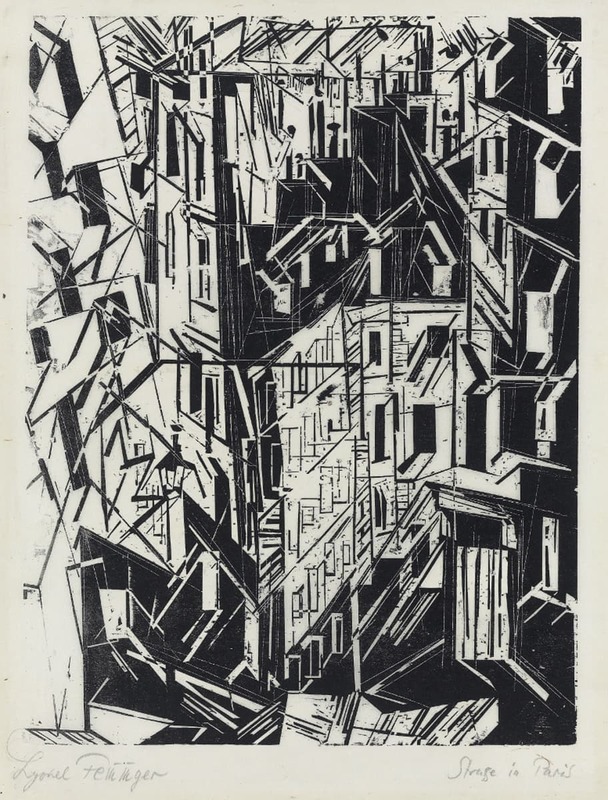 Feininger completed this outstanding woodcut the year before he joined the new Bauhaus school, where he was in charge of the printmaking workshop. He had already developed his mature style of interlocking, crystalline planes, creating an abstracted, tilted view of Paris architecture. The jagged, repetitive diagonal lines remind one of Futurist depictions of movement.